And our City loves us. Santa Monica is an Awesome City! And we care about this community! 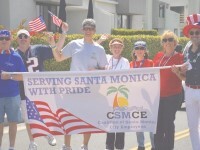 The Coalition of Santa Monica City Employees (CSMCE) came together in 2000 when representatives from all City non-safety bargaining units met and formed an alliance to deal with the City's plans regarding rapidly increasing medical insurance costs. 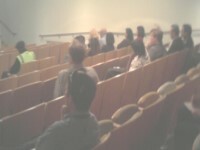 The Santa Monica City Employees Coalition Benefit Trust was established by the coalition of bargaining units representing all permanent employees of the City, except Fire and Police sworn personnel. Coalition of Santa Monica City Employees PAC stands with Mayor Tony Vasquez, and Councilmembers Ted Winterer, Gleam Davis, Terry O’Day for Re-Election. We work closely with the City Council to ensure that Santa Monica remains a great place to live. Through the Political Action Committee, The Coalition helps promote Council Members that have the best interest of CSMCE in mind. 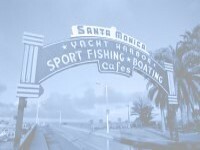 We work closely with the City Council to ensure that Santa Monica remains a great place to live. Currently there are petitions and movements to change PERS retirement that could directly affect all of us. The Employee Retirement Benefit Trust was established by the coalition of bargaining units representing all permanent employees of the City, except Fire and Police sworn personnel. The Trust was established to provide reimbursement to retired employees for part of their medical insurance premiums. 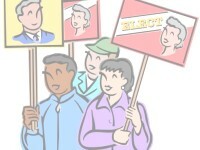 The Coalition has done many things including a Health Benefits Agreement with built-in cost of living increases, Established a Medical Insurance Trust for Retirement, established a Collaboration with the City to avoid layoffs, Revised evaluation forms, Enhanced PERS Death Benefits, Revised evaluation forms and much more.